TICKETS FOR THE MOST REASONABLE PRICE UNTIL WEDNESDAY APRIL 3! 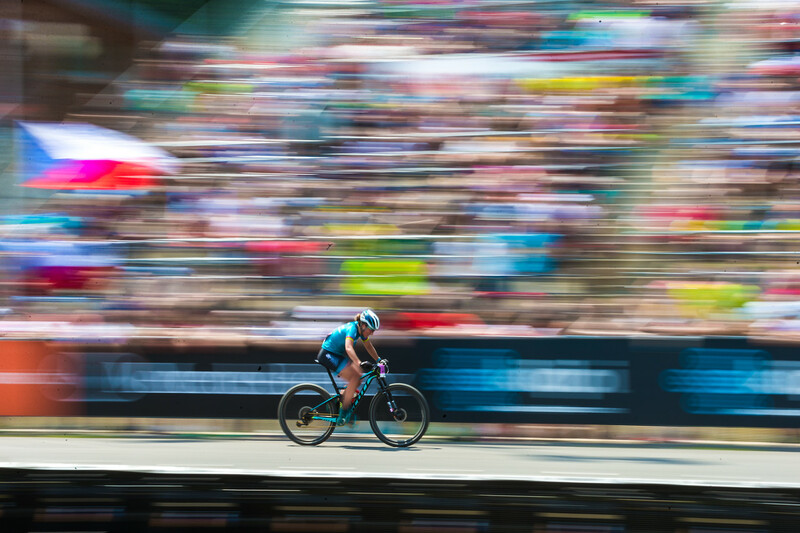 2019 season of the Mercedes-Benz UCI Mountain Bike World Cup is just around the corner. In less than 2 months we will again welcome the world-class riders and enthusiastic fans in the famous Vysočina Arena! For Friday program with the Short Track races of Women and Men Elite category and Saturday program with the XCO races of Junior Women and Men as well as Women and Men Under 23 will be FREE ENTRANCE. You only need ticket for Sunday. The ticketing system has slightly changed from the previous year, especially concerning the entrance of children. Therefore please pay attention to the following information! Each child must have a valit ticket to enter the Arena! Adult tickets purchased until Wednesday, April 3 will have children's tickets up to 140 cm of height FOR FREE (to be picked up in the ticketing office on the entrance to the Arena). From Thursday April 4 a discounted ticket for children up to 140 cm of height will be on sale (100 CZK when purchased online / 200 CZK when purchased in the ticketing office on the entrance to the Arena). Purchase of a children's ticket is conditional upon the purchase of a ticket for an adult. Ticket is valid for entrance into all premises of the Vysočina Arena (grandstands, race track, Team and Expo Zones, accompanying events within the Arena) and does not include any particular "seating" within the Arena. Entrance to the entire event complex with dogs or any other animals is strictly forbidden. Tickets for sale for the most reasonable price only until the end of March HERE.